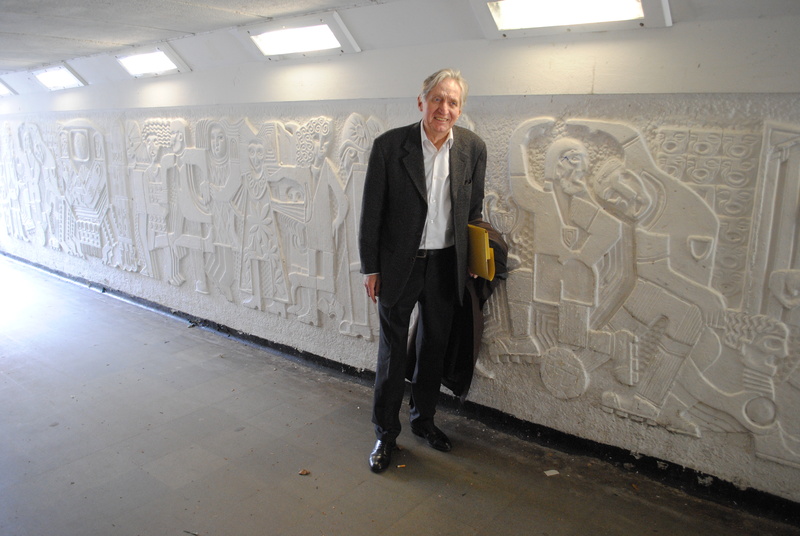 William Mitchell, the internationally renowned sculptor, artist and designer, revisited Stevenage on 25 April 2013. 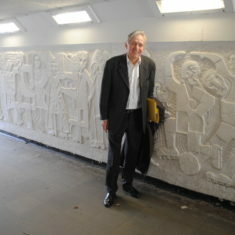 Mr Mitchell, responsible for the underpass reliefs ‘Abstract’ and ‘Scenes from Everyday Life’ beneath St Georges Way and the now-destroyed mosaic which adorned the Longship pub on the ground floor of Southgate House, was received by Council officers at Daneshill House, before visiting Stevenage Museum. 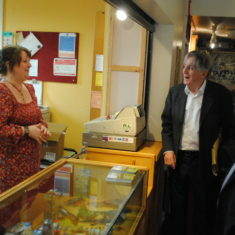 He is seen here alongside ‘Scenes from Everyday Life’ and talking to Jill Campbell at Stevenage Museum, along with John Pye of Stevenage Borough Council. 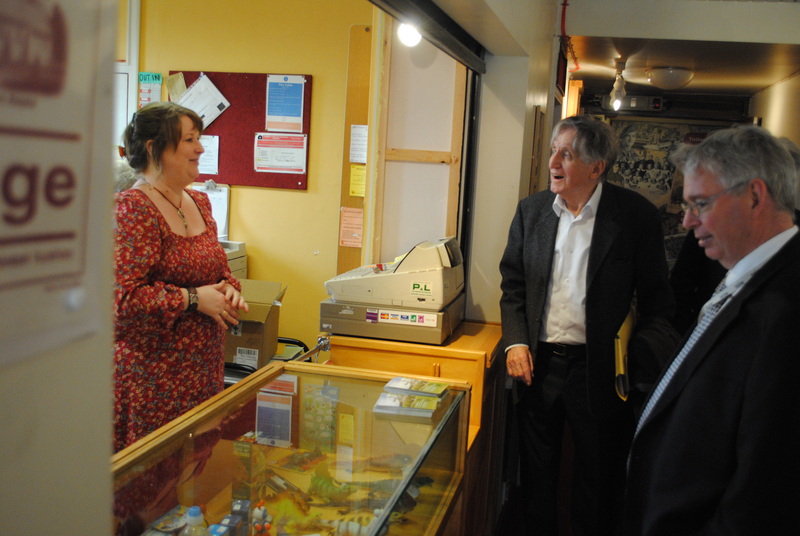 This page was added on 30/04/2013.